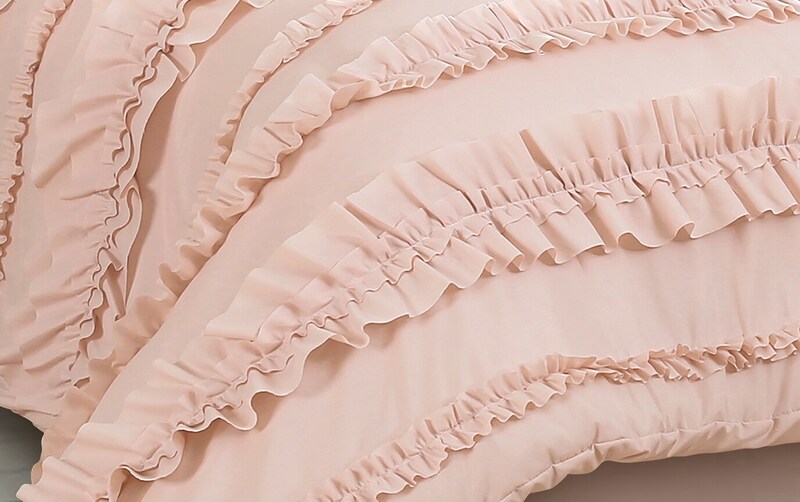 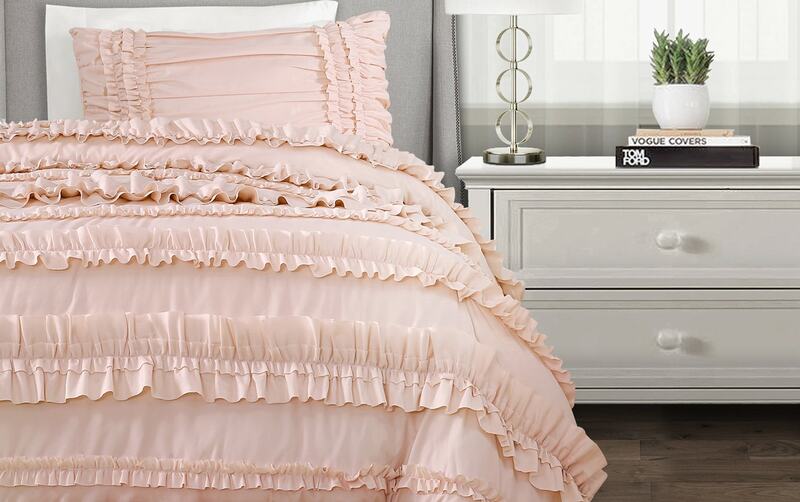 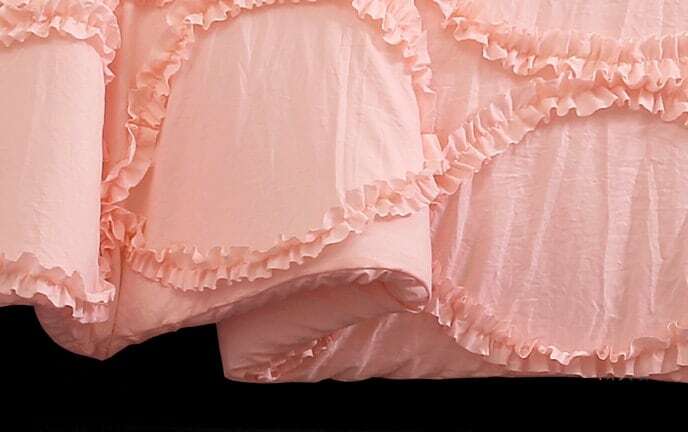 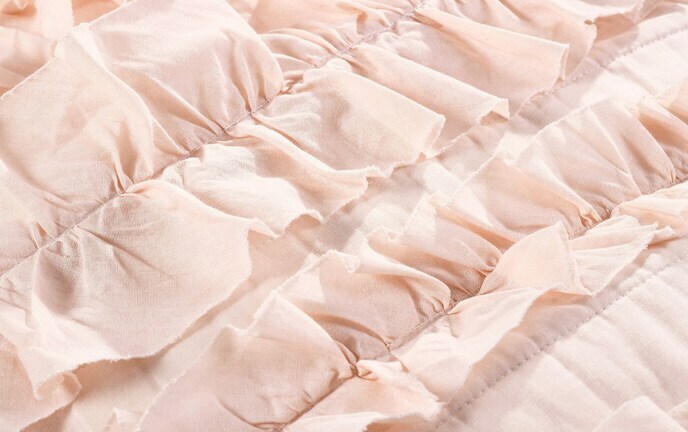 My Striped Ruffle 3 Piece Twin XL Comforter Set is easy on the eyes with its attractive blush color! 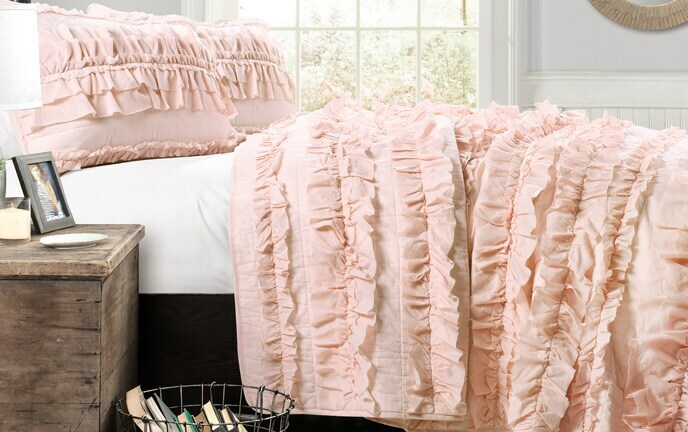 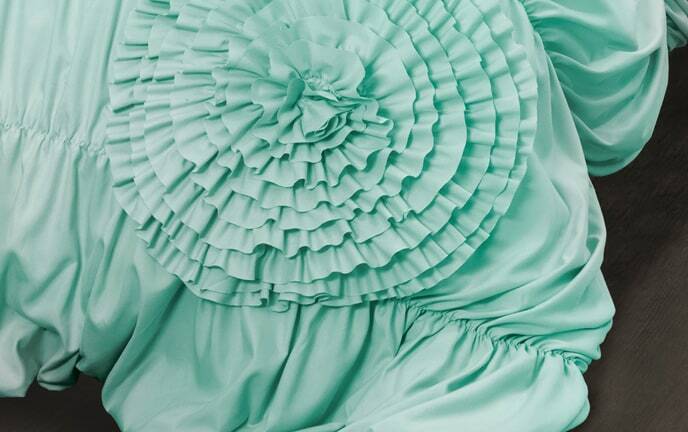 Perfect for your teen, this polyester comforter set adds tons of texture with stripes of feminine ruffles. 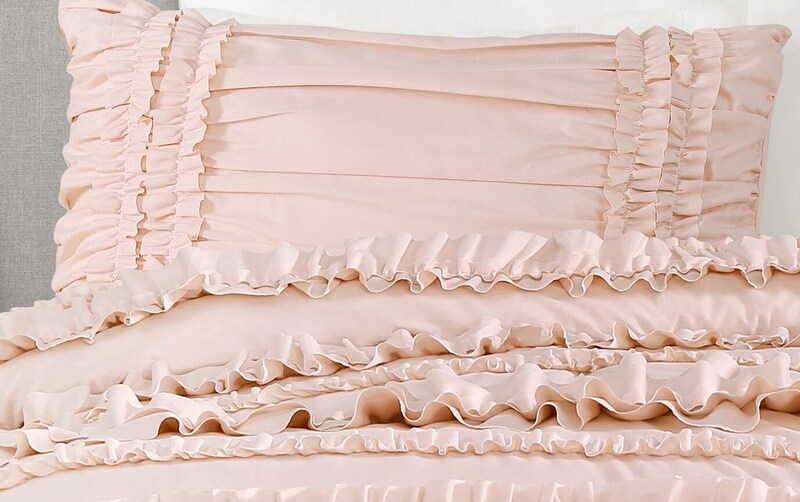 A matching pillow sham and glamorous bed skirt complete the look of this ultra elegant set!